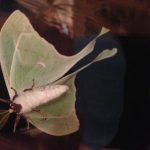 This is a picture of a beautiful Luna Moth who graced the outside of a window in my house one evening. Most of it’s life is spent as a caterpillar, then in a cocoon, finally emerging as an adult moth. But it only lives about one week and doesn’t have a mouth or digestive system in this form. They emerge as adults solely to reproduce. No, this isn’t an entomology lesson! But imagine if we as human adults had only the span of just one week to make a difference in the world in some meaningful way. Luckily, most of us are granted a bit longer than that! Like the Luna Moth, we do experience life in stages as we grow up. Hopefully each bringing personal growth and wisdom through the passage of time. The Torah is filled with scripture where people wrestle and come to terms with their various destinies. Sometimes we see wrong decisions bringing unfavorable consequences. Other instances show a steadfast faith in G-d and enlightenment even when the path is difficult. And so it is with all of us in today’s world. We make choices every day. They might be based on instinct, knowledge, religious faith, the counsel of others or personal intuition. Time reveals if the right choices were made. A culmination of a lifetime of decisions allows us to look back and judge ourselves. Even if it’s in a seemingly small way….did we leave the world better than we found it? Our synagogue continues to evolve and grow too since receiving a charter incorporating our congregation into existence in 1904. Congregation Sha’arey Israel is a place to worship, a place to study, a place for fellowship, and a place to come together for life cycle events. Our fellow member, Ian Altman, will be graciously lending his talents at the piano on March 5, 2017 at 4pm at Mercer’s Fickling Recital Hall. Details on this Winter / Spring Fundraising CSI Benefit event are in the CSI February bulletin, CSI Facebook page and on the CSI Website. Please support our shul with the purchase of tickets and enjoy a late afternoon of classical music in the process! Thanks for making a difference!